The Goonies meets Indiana Jones and James Patterson's Treasure Hunters in this funny, action-filled adventure series! Twelve-year-old Addison Cooke just wishes something exciting would happen to him. His aunt and uncle, both world-famous researchers, travel to the ends of the earth searching for hidden treasure, dodging dangerous robbers along the way, while Addison is stuck in school all day. Luckily for Addison, adventure has a way of finding the Cookes. After his uncle unearths the first ancient Incan clue needed to find a vast trove of lost treasure, he is kidnapped by members of a shadowy organization intent on stealing the riches. Addison’s uncle is the bandits’ key to deciphering the ancient clues and looting the treasure . . . unless Addison and his friends can outsmart the kidnappers and crack the code first. So it’s off to South America, where the excitement, danger, gold, booby traps, and car chases are never-ending! 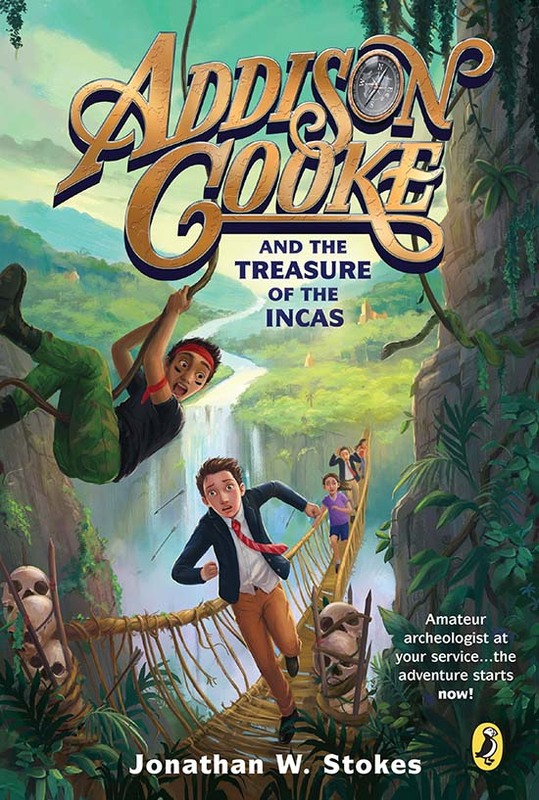 Full of laugh-out-loud moments and nonstop action, and perfect for fans of Indiana Jones or James Patterson’s Treasure Hunters series, Addison Cooke and the Treasure of the Incas is sure to strike gold with kid readers.